The offices of Carl Webb and Patricia Webb have been established in Tulsa for over a quarter of a century. Our focus is on you, the individual and the small business owner. Whether you are opening a business for the first time or taking time off your hands, let us serve you in professional financial management, capital funding, payroll, write-up work and proper preparation for asset acquisition. Our office carries the experience, professionalism and proper support to handle your specific accounting needs. 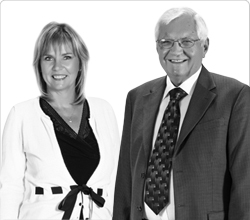 Over the years, the offices of Carl R. Webb and Patricia A. Webb have served hundreds of clients all with unique and customized needs. The last 29 years has allowed us to gain crucial insight to specific laws and demands made by both the IRS and Oklahoma Tax Commission (OTC). Regardless of your specific needs, allow our team of professionals to serve you. We choose to remain a private CPA firm because we believe in the value of building lasting relationships with those we serve. Even more than that, we look forward to building that relationship with you. A consultation is free of charge and well worth it. As a small businesses owner, you are stretched in many directions. Let our office provide you with a consultation on us and let us sit down and discuss your specific needs. We currently have ten openings for new clients and eagerly await hearing from you. Don’t choose the harder way. Choose right. Choose today.